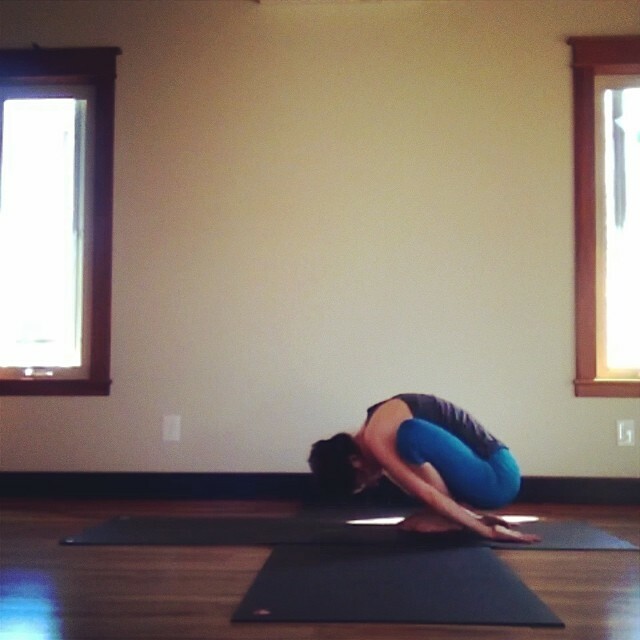 Malasana or Garland pose or the dreaded Yogi Squat. This is something that comes easy for some and others it is their nemesis...basically like anything in yoga. Of course I have nothing but the utmost respect for Karen, I just thought it is an amazing demonstration of how this can be challenging for anyone...even a crazy, crazy advanced practitioner. Press your elbows against your inner knees, bringing your palms to together resist the knees into the elbows. This will help lengthen your front torso. To go further, press your inner thighs against the sides of your torso. Reach your arms forward, then swing them out to the sides and notch your shins into your armpits. Press your finger tips to the floor, or reach around the outside of your ankles and clasp your back heels. Hold the position for 30 seconds to 1 minute, then inhale, straighten the knees, and stand.